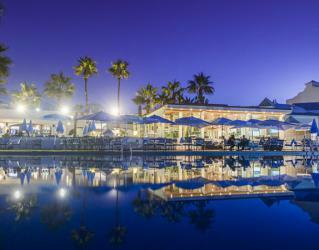 Four splendid golf courses within 30 minutes’ drive, the 5* luxury L’Amphitrite Palace Resort & Spa is a fantastic choice for your next golf break in Morocco, offering a memorable stay and delightful culinary options. 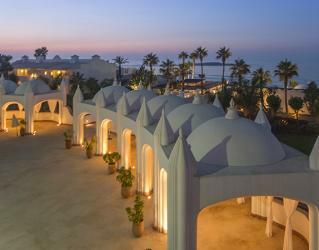 Located between Casablanca and Rabat, L’Amphitrite Palace is a fabulous beach hotel offering a peaceful holiday experience away from the maddening crowd. 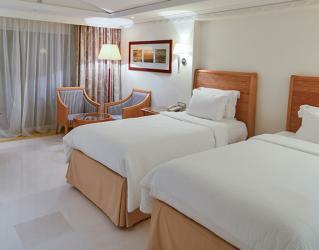 Perfect on sunsets, the extensive views of the Atlantic Ocean all over the resort are matchless. The private beach of the resort is one of the most picturesque in Morocco. 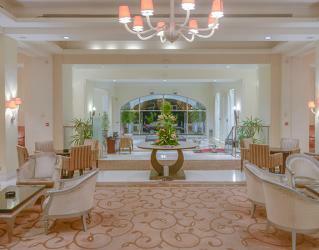 L’Amphitrite Palace is in short distance by car to the beautiful Rabat and to Morocco’s historic and cultural attractions. 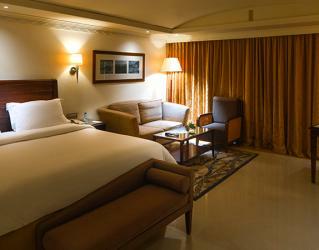 The accommodation options of the resort are luxury rooms, suites and a villa. Either with garden or ocean views, the guestrooms are quite spacious and decorated in a modern way with elegant furnishing in soft colours. 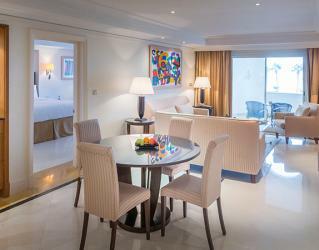 The Ocean Suites open up to a vast beachfront terrace overlooking the glistening Atlantic coast. The guestrooms are equipped with air conditioning, lounge corner, flat panel TV, telephone, internet access, safety deposit box, minibar, complimentary toiletries, bathrobes and separate bathtub and shower. 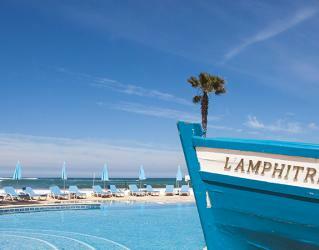 The dining options of L’Amphitrite Palace are delightful and satisfying. 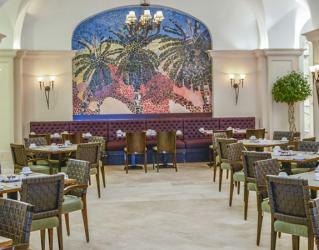 Brasserie Mosaic, an informal all day restaurant, serves buffet style breakfast and an A’la Carte menu for lunch and dinner. Set in a gorgeous and authentic atmosphere of Moroccan architecture and décor, Douiria Moroccan Restaurant offers the rich flavours of Morocco. La Poseidon is a splendid restaurant serving delicious local seafood as well as international and regional tastes on the pool terrace with a breath taking Atlantic Ocean view. Please note that the availability of restaurants may change seasonally and depend on weather conditions. 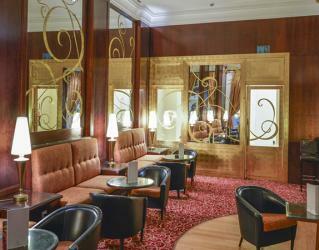 An ideal place to while away and relax with a drink, Dukes Bar is a chic clubby venue adjoining the lobby. Located by the pool with Atlantic Ocean view, Rock Bar is an outdoor bar serving drinks, snacks and light meals from mid-morning to late evening. Sunset Lounge, covering a cosy Cigar Corner with a selection of cigars and Cognac, is set in a plush ambience and ideal for discussing your day on the golf course or just unwinding. Please note that the availability of bars may change seasonally and depend on the weather conditions. 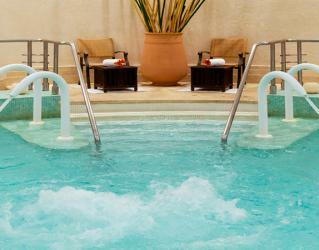 The Spa of the resort offers moments of relaxation and rejuvenation in a tranquil setting. 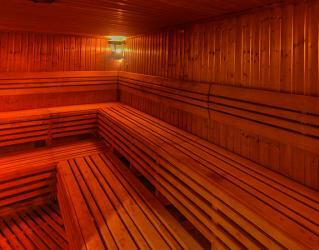 An extensive collection of facial and body treatments, therapies and wellbeing services are at your service here. The facilities within the spa centre include an indoor heated hydro pool with massaging water jets, a sauna, a steam bath, experience showers, a fitness centre and a spa lounge serving healthy spa cuisine and drinks.